A new way to store your helmet that doesn’t take up wall space or require any installation. Back in 2017, we featured the wall-mounted Halley Helmet Rack for stylish motorbike riders everywhere. Now, Halley is back with a new way to store your helmet that doesn’t take up wall space or require installation of any kind. 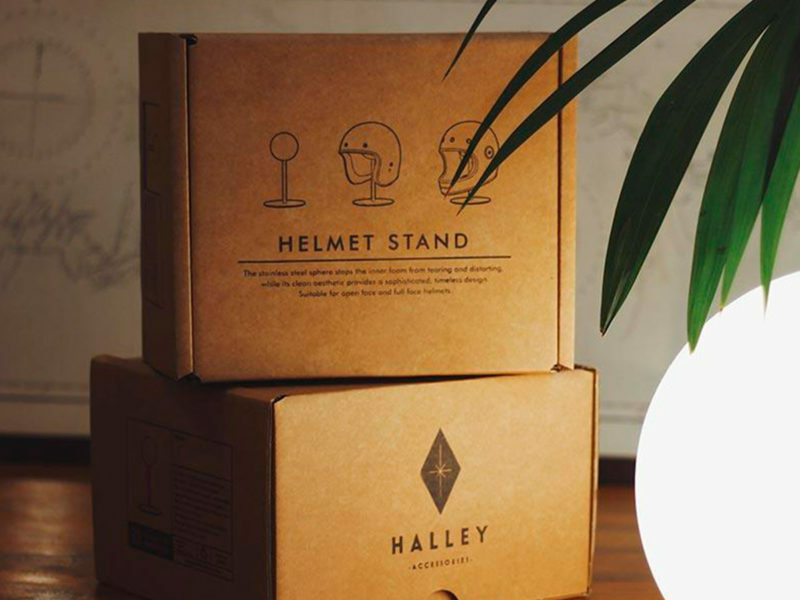 An elegant solution to a common problem, the Halley Helmet Stand can rest on any table or counter. Serving a dual purpose, this stand protects these surfaces and your helmet itself from scuffs, scrapes, and other forms of wear and tear. 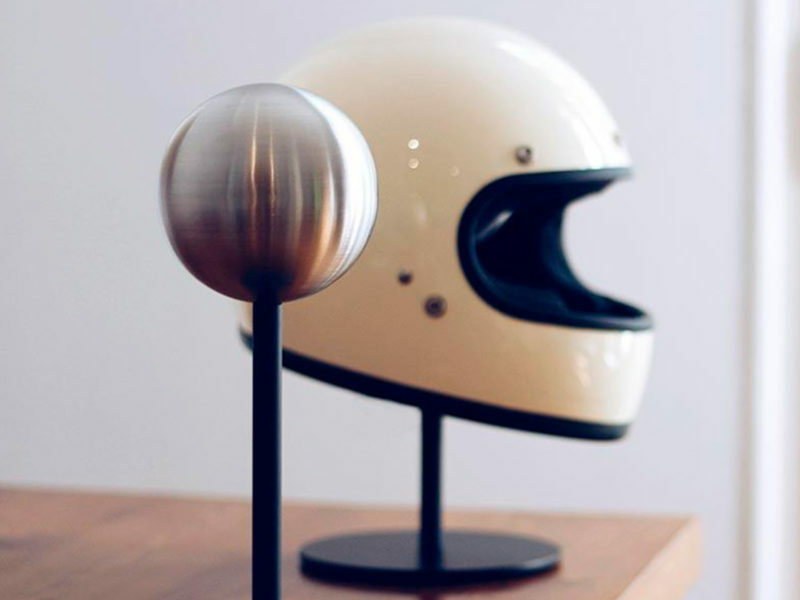 When in use, the Halley Helmet Stand securely holds your helmet on a sturdy sphere of stainless steel. 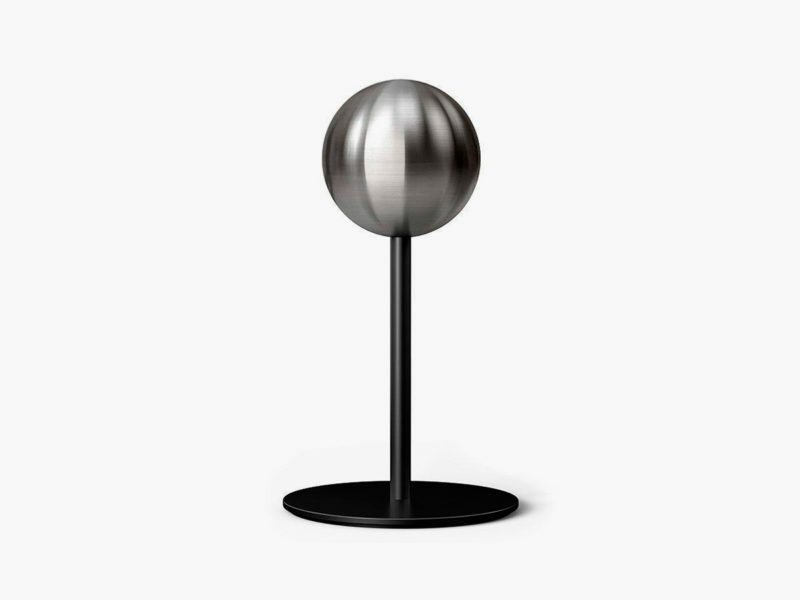 And when you’re helmet is in use, the Halley Helmet Stand doubles as an intriguing art object with a mesmerizing brushed finish. This product works great with both open face and full face helmets. It rests firmly on a laser cut steel base with an anti-slip EPDM rubber pad.